Ismailimail congratulates Dr. Gulshan Harjee on receiving the award. Born in Tanzania, Dr. Harjee graduated from Emory University Medical School in Atlanta, USA and subsequently joined Dekalb Medical in Atlanta, practising internal medicine. 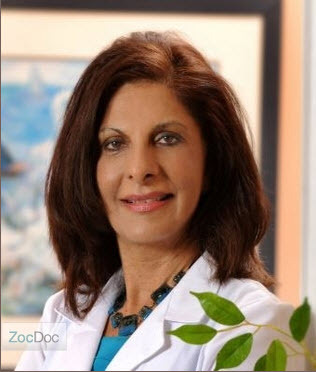 Dr. Harjee’s distinguished career in internal medicine spanning 30 years, includes numerous community initiatives such as health fairs for members who do not have health insurance, Chair of the first Cancer Summit for Asian Americans as well as community based medical associations. In the field of education, Dr. Harjee has established the Gulshan Harjee Scholarship for high school students and an endowment at Morehouse School of Medicine for medical students. She has served on several boards including the National Bone Marrow Donor Program, DeKalb Regional Health System, UNICEF South East, and is currently a member of the Georgia Coalition Board of Breast Cancer. The numerous awards she has received include the Humanitarian Award from Medical Association of Georgia, Distinguished Alumnus Award from Morehouse School of Medicine,Excellence in Teaching Award from Philadelphia College of Osteopathic Institute, and Dedication for Community Healthcare from the Indian American Cultural Association.